The next-generation operating system for the Apple Watch launched on September 13, 2016.
watchOS 3, which debuted on September 13, 2016, brings a dedicated Breathe app, instant-launch apps, a dock with favorite apps, a new Control Center, and more. Subscribe for regular MacRumors news and future watchOS 3 info. The latest version of the watchOS operating system, watchOS 3, was first introduced at the Worldwide Developers Conference on June 13, 2016, and was made available to the public on September 13, 2016. watchOS 3 is a significant update to the operating system, introducing new apps, new watch faces, and impressive performance improvements. watchOS 3 introduces a Dock that houses a user's favorite and recently used apps so they're easier to access. Favorite Apple Watch apps saved to the Dock are kept up to date and are able to launch instantly, cutting down on app loading times. Navigation has been improved, with left and right swipes now used to change the watch face. A revamped Control Center with more information is available when swiping upwards on the Apple Watch screen. 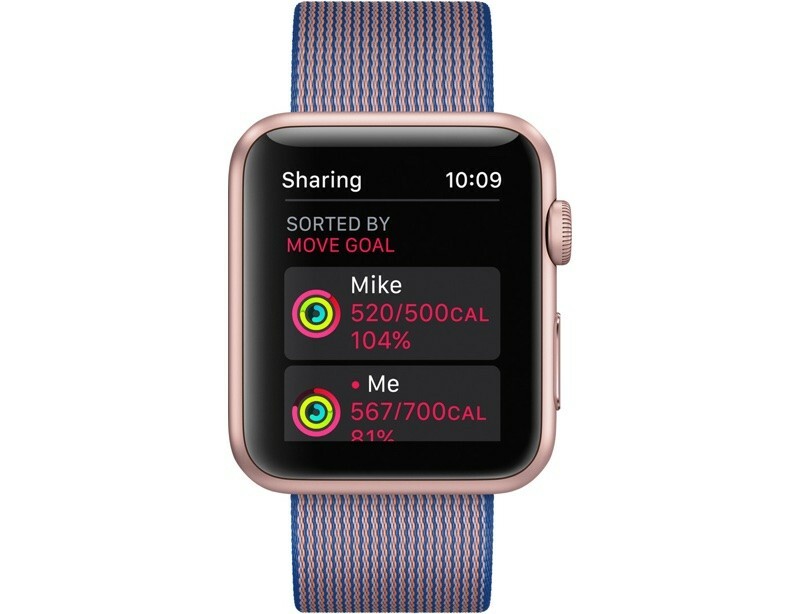 Activity sharing is new in watchOS 3, allowing Apple Watch owners to share their workout and activity information with friends to compete and stay motivated. New activity-based Smart Replies in the app are available to communicate with friends and family over activity achievements. A Breathe app is designed to guide Apple Watch owners through daily deep breathing sessions to cut down on stress and induce relaxation, and there are also new Reminders and Find My Friends apps. 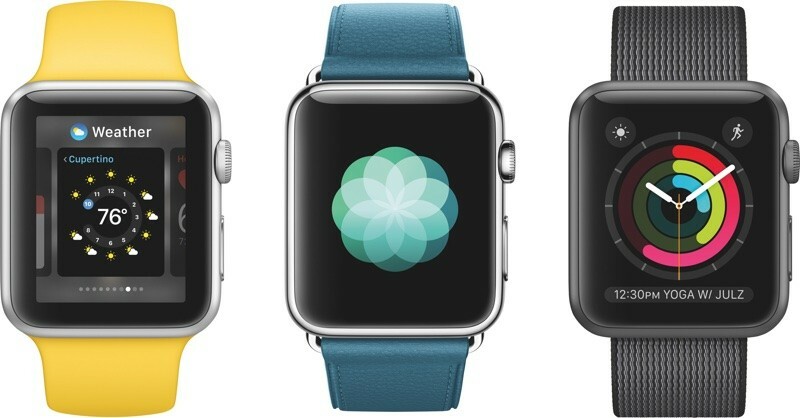 There are three new watch faces available in watchOS 3, including Minnie Mouse (able to announce the time), a simple numerical face, and an Activity face that shows activity rings. Some of the existing watch faces are also now able to work with more complications. An SOS feature automatically calls emergency services when the side button is pressed no matter where you are in the world, and the Apple Watch can now be used to unlock a password protected Mac with new Continuity functionality. In the Messages app, a redesign makes it quicker to reply to incoming texts, and a new "Scribble" feature allows you to write replies on the Apple Watch face with a finger. watchOS 3 was released to public on September 13, 2016, following several months of beta testing. It requires iOS 10 to install, which was also released on September 13. The current version of watchOS is watchOS 3.2.3, which was released to the public on July 19, 2017. watchOS 3.2.2 is a minor update that focuses on bug fixes and performance improvements rather than outward-facing changes. Development on watchOS 3 is ending as Apple shifts its focus to watchOS 4. watchOS 4 was introduced at the Worldwide Developers Conference on June 5, and Apple has seeded eight betas so far. watchOS 4 will be released to the public in the fall. 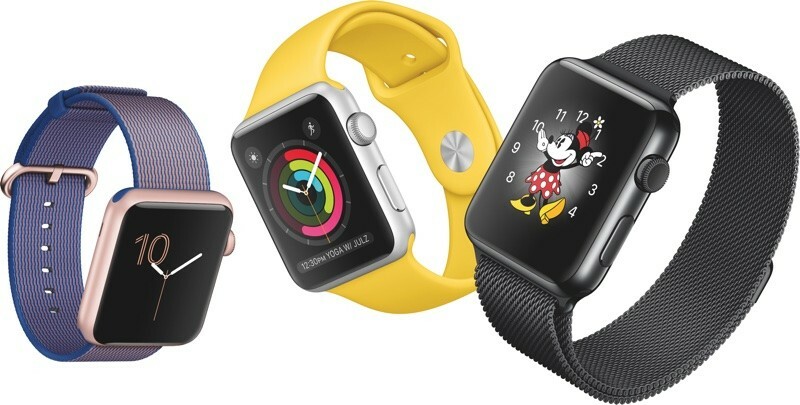 There are three new watch faces in watchOS 3: Minnie Mouse, Activity, and Numerals. The Minnie Mouse watch face is similar to the Mickey Mouse watch face, except it features Minnie Mouse with a customizable dress to match different Apple Watch bands. In watchOS 3, both Mickey and Minnie say the time aloud in their distinctive voices when a finger is pressed on the watch face. The Activity watch face shows a large view of your daily activity rings, so activity and exercise progress can be viewed at a glance. The Activity face can be set to an analog clock, a digital clock, or a chronograph, all of which show a full, clear view of the activity rings. The final face, Numerals, is one of the simplest faces yet with a single number displayed with watch hands. The number changes and rotates around the face as time passes. 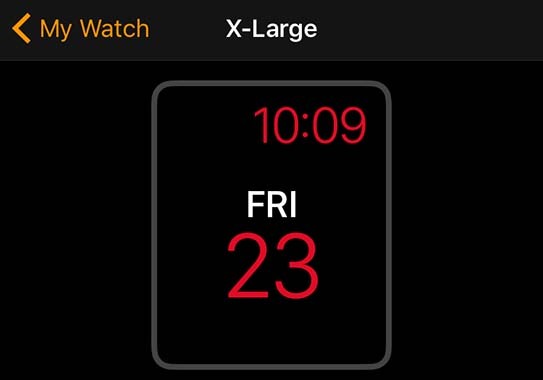 Complications can be added to watch faces that didn't previously support them in watchOS 2, including Photo, Timelapse, Motion, and Extra Large. There are also new complications available through new built-in apps like Breathe and Reminders, which can be added to any watch face that supports complications, and some of the existing watch include support for complications for the first time. In the Apple Watch app for iPhone, there's a Face Gallery where you can customize watch faces with colors and complications. These tools have been previously available on the watch itself, but it can be easier to set up watch faces through the larger screen of the iPhone. Navigation on the Apple Watch is quite a bit different in watchOS 3. The side button, in watchOS 2 to bring up a list of contacts, is being replaced with a dedicated "Dock" that brings up a list of favorite apps. The Dock is replacing the Glances view, formerly accessed by swiping up on a watch face. The same swipe now brings up a new Control Center, a navigation change meant to mirror accessing the Control Center on the iPhone. 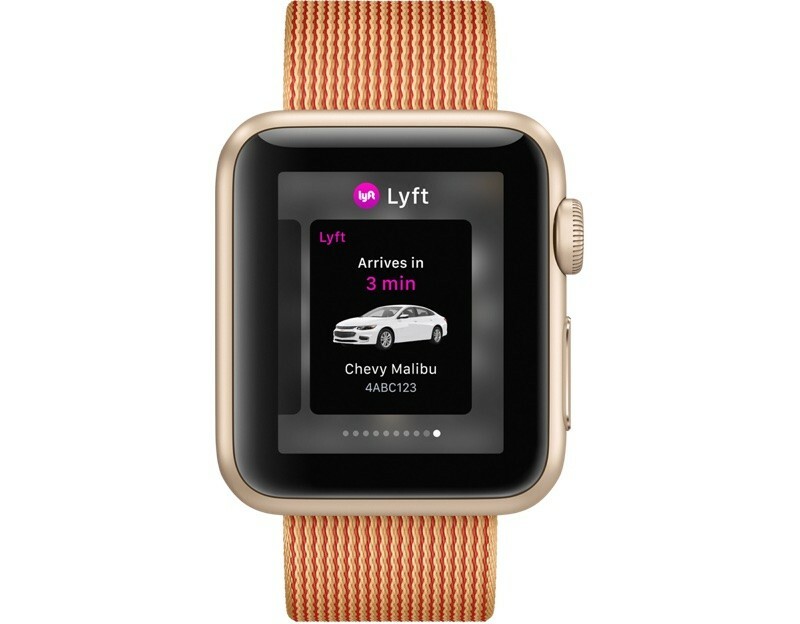 Changing the watch face is now done by swiping left or right on the face of the Apple Watch, with a deep press no longer required, so it's much quicker to swap between faces. In addition to these navigation changes, Apple has implemented features letting apps set as "favorites" to launch instantly. All apps designated as favorites in the new Dock are kept continually in the Apple Watch's memory, with information updated in the background. On stage, Apple said apps stored in memory this way are able to open seven times faster than a standard Apple Watch app. This allows for all favorite apps to launch "instantly," greatly cutting down on the amount of time that it takes for your most-used apps to load. The Dock houses both favorite and recently used apps, and it is customizable so you can load your frequently accessed first and third-party apps so the information you need is always at your fingertips. The Dock is used a lot like Glances, and when swiping left and right through apps, you can see the full information from the app through an app snapshot without having to launch it. The Dock supports a total of 10 apps. 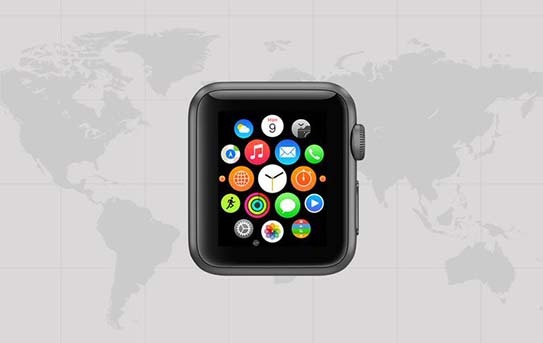 SOS is a feature activated by holding down the side button on the Apple Watch for three consecutive seconds. When this happens, the Apple Watch automatically calls local emergency services, using either a Wi-Fi connection or a connection to an iPhone. SOS is able to detect your location and call the relevant number regardless of your location, so if there's an emergency on vacation and you don't know the number for emergency services, help can still be summoned because the Apple Watch knows the number to call. After an emergency call has been placed to 911 or another local emergency service, the Apple Watch notifies your emergency contacts and provides a map of your current location. It also now supports the Medical ID, so information like age, weight, allergies, and medical conditions are readily available to emergency services personnel from the Apple Watch on your wrist. watchOS 3 supports a new "Activity Sharing" feature that lets friends and family share their activity and workout information with one another. Apple hopes Apple Watch users will be motivated to work out more through friendly competition or encouragement from friends and family. Activity Sharing is accessed by swiping right on the Activity rings view of the Activity app, and in this view, the activity rings of selected friends are displayed. There are options to sort by metrics like steps, exercise minutes, and workouts, so you can see how your activities measure up to those of your friends, and there are built in messaging options so you can send encouragement or smack talk when a friend reaches a goal. Third-party workout apps much improved in watchOS 3. Developers are now able to allow workout apps to run in the background of the Apple Watch, so with just the raise of a wrist, users can see up-to-date workout metrics. Developers also have realtime access to the heart rate sensor and the gyroscope to provide better information to Apple Watch owners. When doing a running Workout, the Apple Watch is now able to detect when a user stops for a stoplight or another reason, pausing the workout until running resumes, and there's an option for naming "Other" workouts that aren't listed in the app. Pressing on the Digital Crown and the side button during a workout also allows a workout to be paused, and ending a workout is now done by swiping right instead of using a force touch. 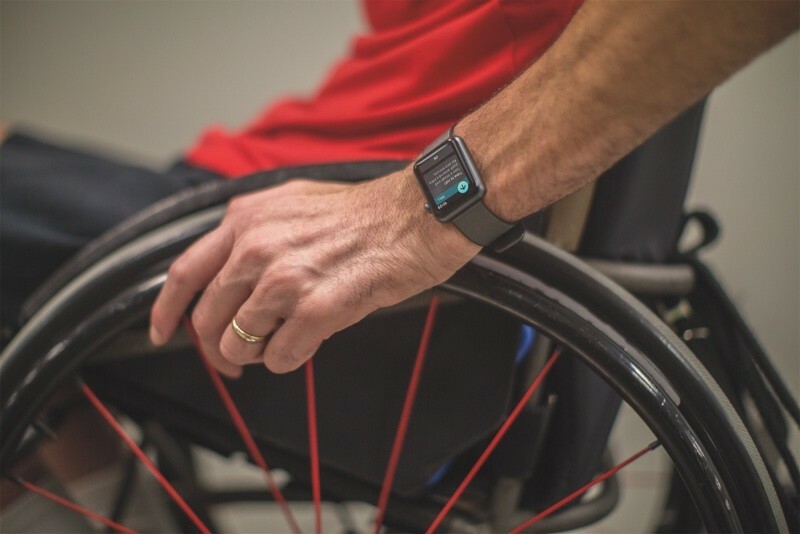 Apple has added a new Wheelchair setting to the Apple Watch in watchOS 3, allowing its activity options to be customized for wheelchair users. Wheelchair pushes now contribute to all-day calorie goals, there are new wheelchair-specific workouts, and the "time to stand" reminders transform into "time to roll" reminders when the wheelchair setting is activated. New in watchOS 3 are Reminders and Find My Friends apps, both of which mirror capabilities found on the iPhone. Find My Friends, when used as a "favorite" app, can offer up-to-date information on the whereabouts of friends and family, while Reminders offers a quick look at to-do lists. With Glances being replaced by the Dock, there's a new Heart Rate app on the Apple Watch to replace the Heart Rate Glance. Heart Rate is the only Glance that didn't previously also have an accompanying app. Completely new to the Apple Watch is a dedicated Breathe app, which is designed for relaxation and stress relief. Breathe guides users through deep breathing techniques, with either on-screen visuals or haptic taps. 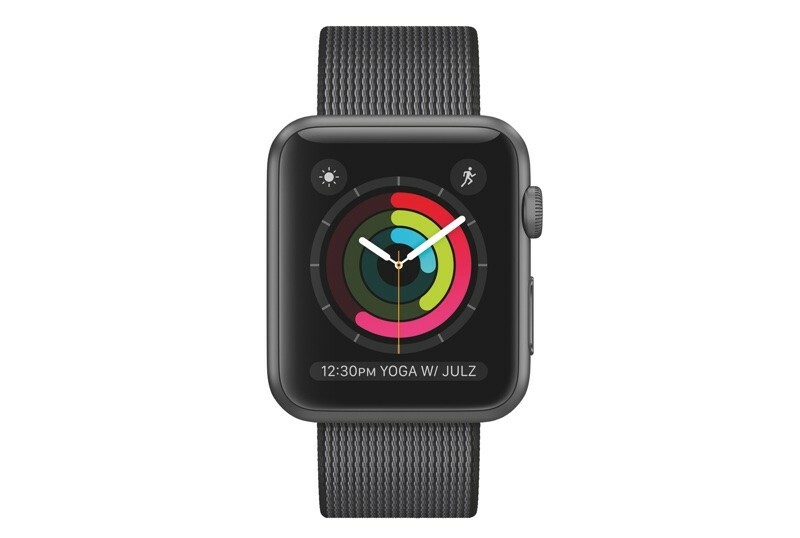 According to Apple fitness guru Jay Blahnik, Breathe has been designed to make it easy for Apple Watch wearers to incorporate meditation and breathing exercises into their daily routines. Breathing exercises can be done for one (7 breaths) to five minutes (35 breaths), and while Breathe can be accessed through the Breathe app, the Apple Watch also offers optional "Breathe" reminders, much like stand reminders. Breathe reminders, if activated, are delivered every four hours. In Messages, a redesign makes it quicker to reply to incoming texts and iMessages. There's no need to tap "Reply" when a message is received -- the options are already listed at the bottom of the notification. There's also new "Scribble" feature for replying to messages. With Scribble, you can spell out your response on the Apple Watch display with your finger, writing the letters on top of each other. Scribble supports both Chinese and English. Apple introduced a new "Home" app in iOS 10 to give users a central location for controlling all of their HomeKit-enabled devices, and there's also a Home app for the Apple Watch. With Home, there are quick-access controls for doing things like controlling the lights or adjusting the thermostat. Mac owners can now use an authenticated Apple Watch to unlock their Macs whenever they are nearby. Unlocking works through proximity, much like the Apple Watch unlocks when an iPhone is unlocked. When near a password protected Mac, the Apple Watch is used to bypass the password for quicker entry. This feature requires a 2013 or later Mac and works with all Apple Watch models. To unlock the Mac, the Apple Watch must be locked through an iPhone or a passcode. Apple Pay is now available within apps on the Apple Watch, so purchases can be made in-app directly on the watch itself. Developers are also able to build Apple Pay into their Apple Watch apps. Developers have access to a lot more tools in watchOS 3, resulting in apps that can do more than ever. watchOS 3 includes support for the Digital Crown, touch events, speaker audio, in-line video, SpriteKit, SceneKit, Game Center for turn-by-turn gaming, and CloudKit for data storage across devices. Camera app - The Digital Crown now allows users to control the iPhone's digital zooming capabilities for digital zooming. Disable Screenshots - There's now an option to disable screenshots when pressing the Digital Crown and the Side Button simultaneously. Find My Apple Watch - The Apple Watch's location is now available using the Find My iPhone app. Siri - Siri has an updated interface in watchOS 3. A haptic tap is now received when Siri has stopped listening to a request instead of when Siri begin listening, and Siri lets users know information is being sought through a "Hang on..." or "Hold on..." message if a request takes more than a second or two. Notifications - Dismissing a notification now returns a user to the watch face instead of the Notification Center. watchOS 3 was officially released on Tuesday, September 13, 2016. It is a free download available for all Apple Watch models, including the original Apple Watch, Series 1, and Series 2.